A Paper Wedding is a show stopping invitation suite for the modern day wedding. All designs are personal and unique to the bride’s taste. Amy is a seasoned artist and excels in watercolor design and graphic design. Her palette spans from hand painted palm trees, rustic barn murals, ombré watercolors and so much more. She offers letterpress, foiling, deckled edges, digital printing and screen printing. We are beyond thrilled to partner with Love is In the Air Events, and paint on their delicious cakes! 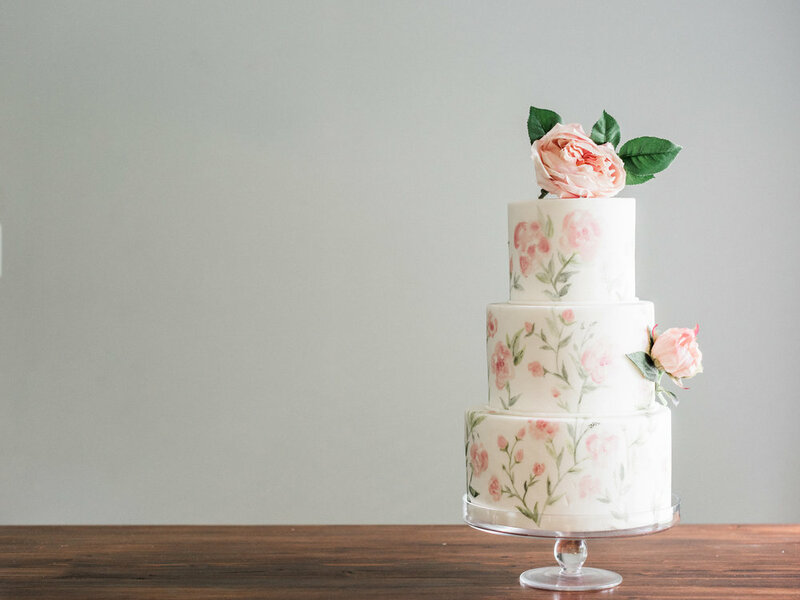 A beautiful way to carry your custom suite design to your cake.